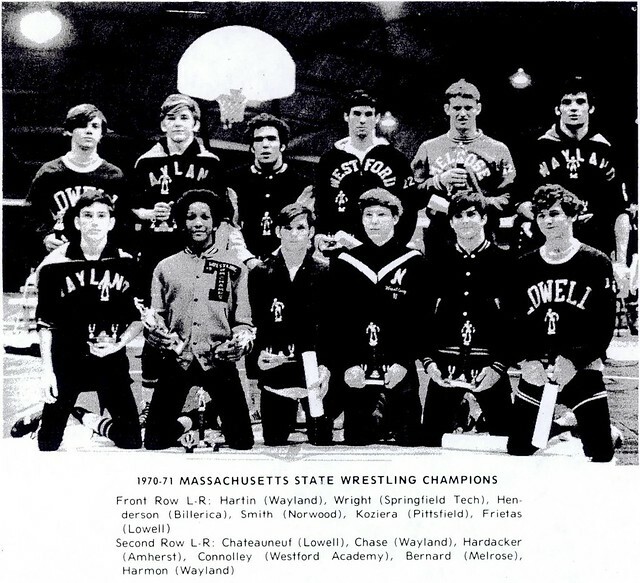 Another of legendary Coach George Bossi’s outstanding wrestlers, Rick Freitas compiled an incredible record in Massachusetts, New England, and nationally at both the high school and college levels. 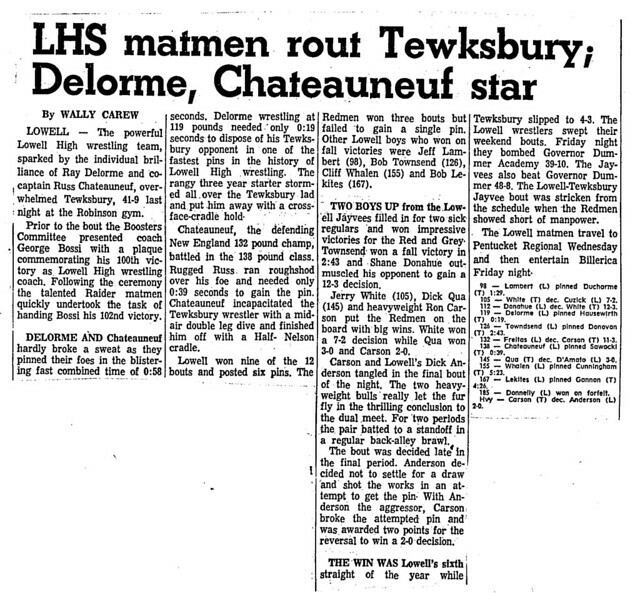 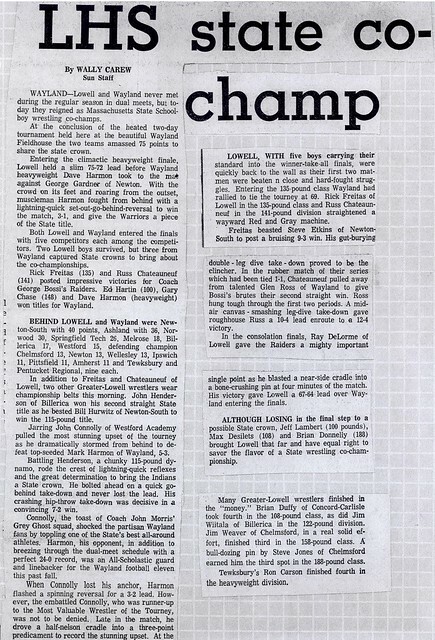 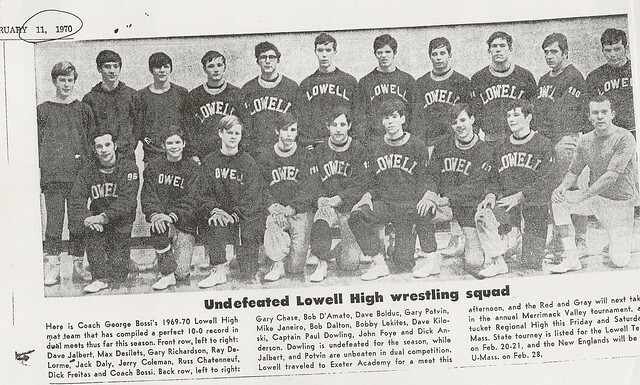 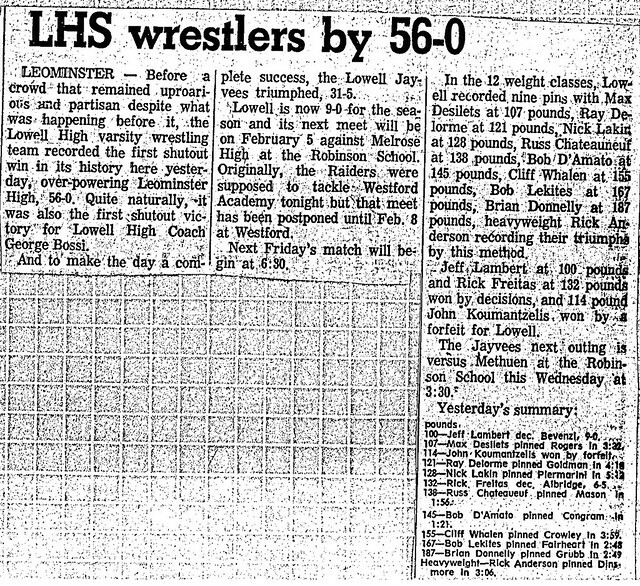 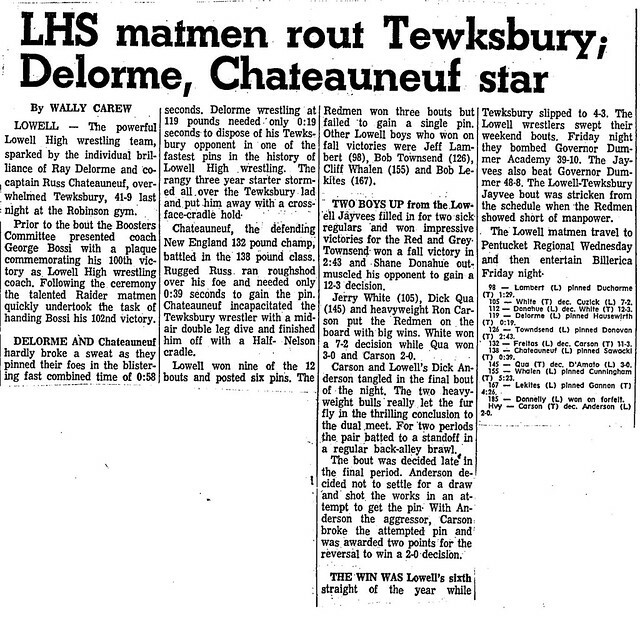 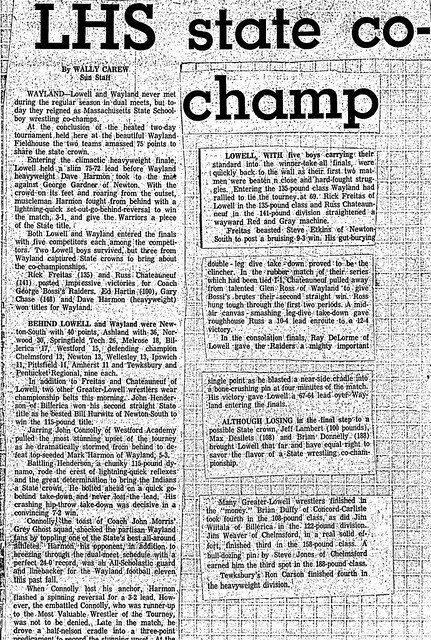 A three-year varsity wrestler for Lowell High School (1969–1971), Rick culminated his high school career by winning the Massachusetts State Championship at 134 pounds during the 1970–1971 season. 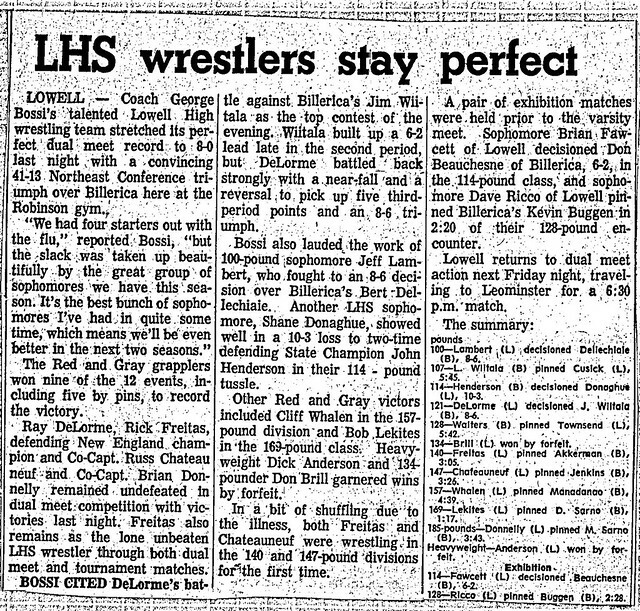 Rick led the Red and Gray in team points, takedowns, and falls as the Raider juggernaut rolled to both State and New England Championships that winter. 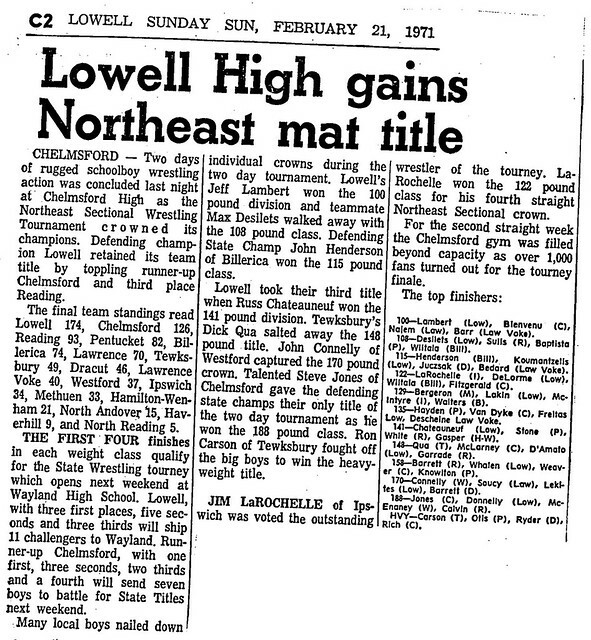 After graduation from LHS Rick attended Tabor Academy where he won the New England Prep Championship at 156 pounds, leading Tabor to the New England Prep team Championship. 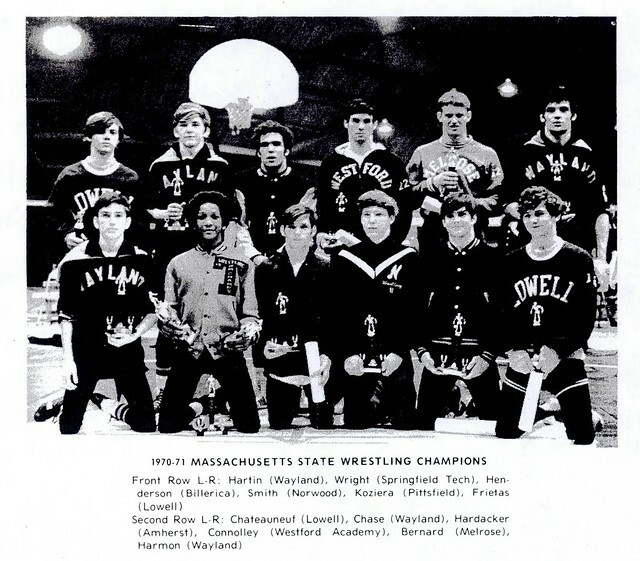 After graduation from Tabor Rick enrolled at wrestling powerhouse Boston University. 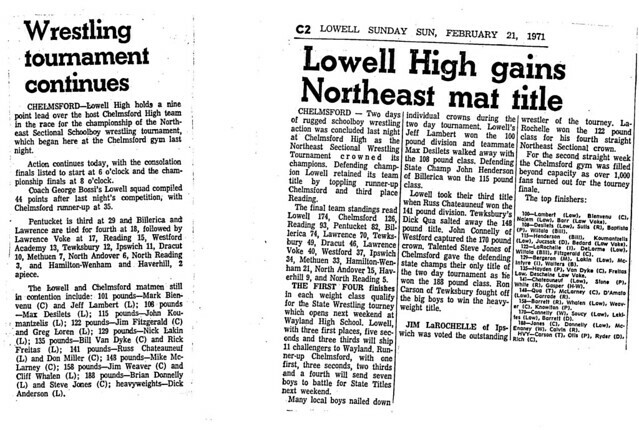 As a freshman, Rick was undefeated in dual meets (13–0, school record 12 falls). 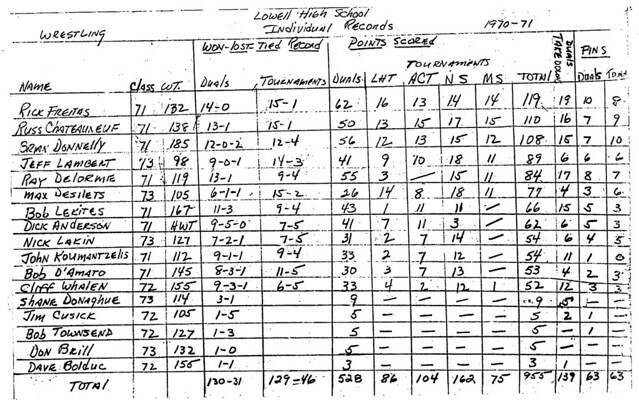 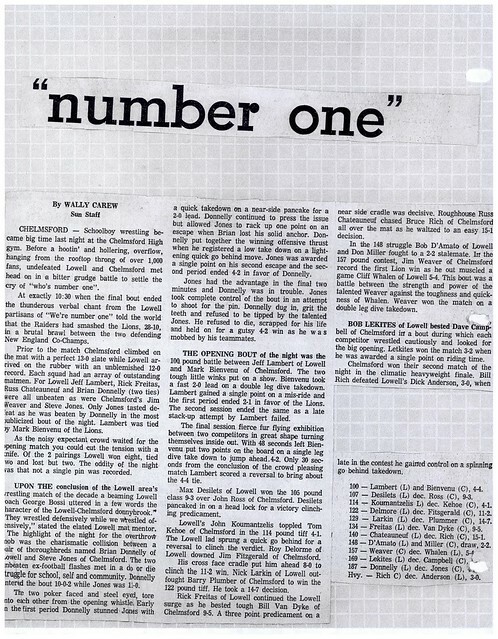 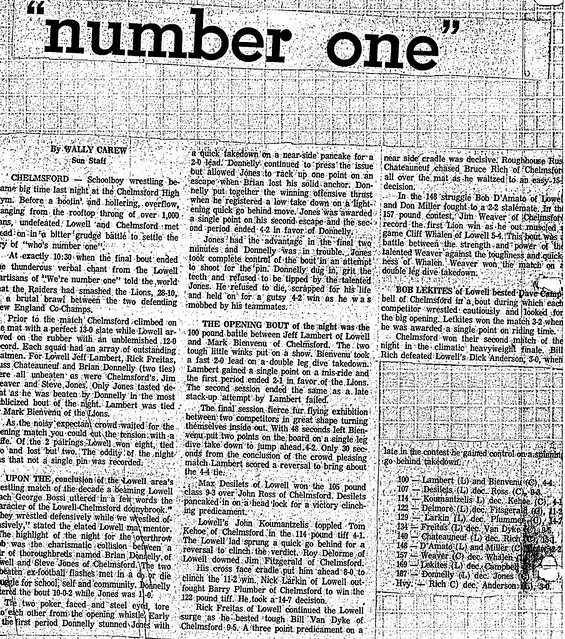 For the third consecutive year, Rick was a member of an undefeated team (16–0). 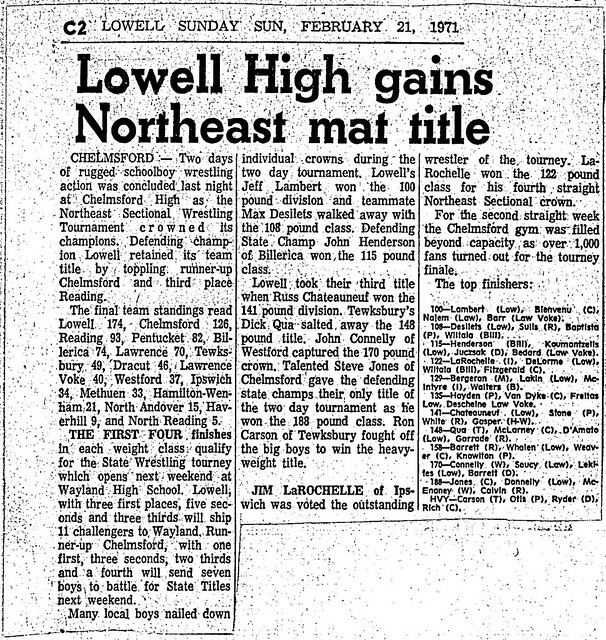 Individually Rick won the New England Championship at 134 pounds, was voted Outstanding Wrestler at the New Englands, and qualified for the NCAA Championship–all firsts for the Terriers. 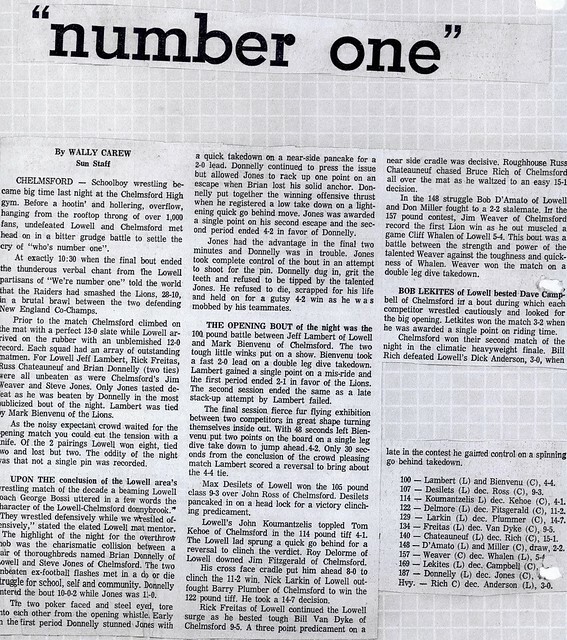 Rick received Freshman All-American honors after this remarkable season. 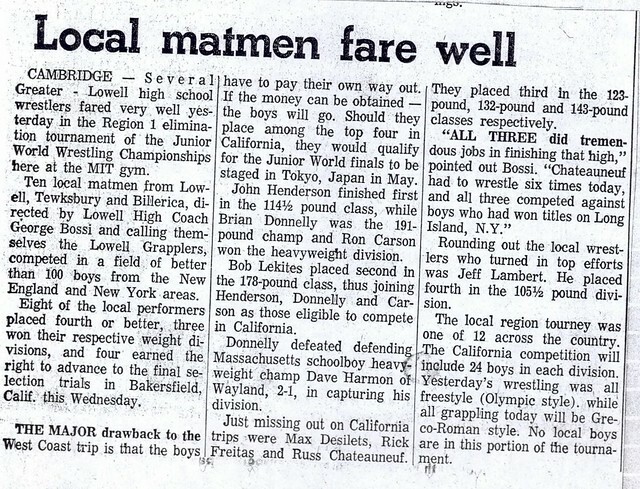 Rick eventually transferred to Montclair (NJ) State College, where he continued his incredible performances. 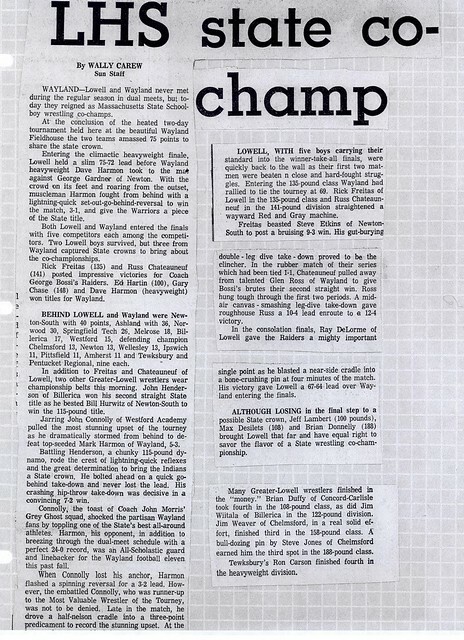 Rick was a two-time 142-pound conference champion as Montclair won team conference honors in consecutive seasons. 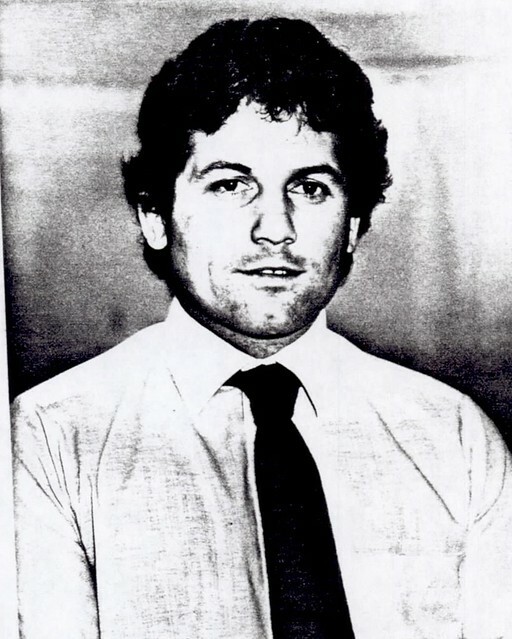 The crowning achievement of Rick’s career occurred in 1977 when he won the NCAA Division III 142-pound Championship (the first Massachusetts wrestler to win an NCAA title), leading Montclair State to the NCAA team Championship with an NCAA record 143 points. 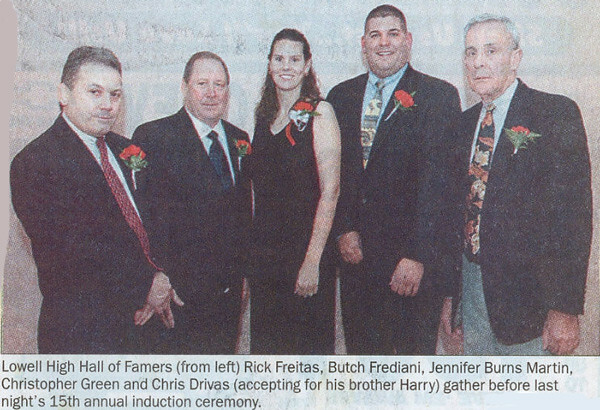 Named to the NCAA All-American team, Rick was named Montclair State’s Outstanding Senior Athlete. 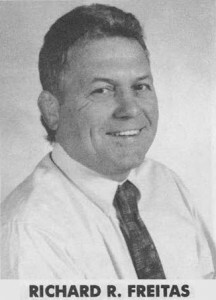 Rick compiled a final career college record of 65–12–0 and an overall career record of 133–19–0 with 75 falls. Rick’s excellence as a wrestler continued into a coaching career at Upsala College and UMass, Amherst, where his teams included 15 NCAA qualifiers and 8 conference champions.